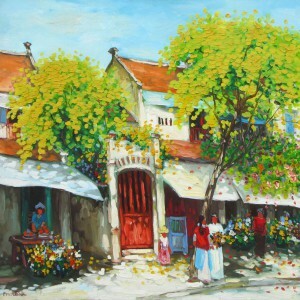 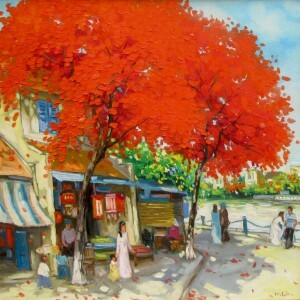 This is a beautiful painting portraying the falling leaves of autumn covering the street corner one autumn noon. 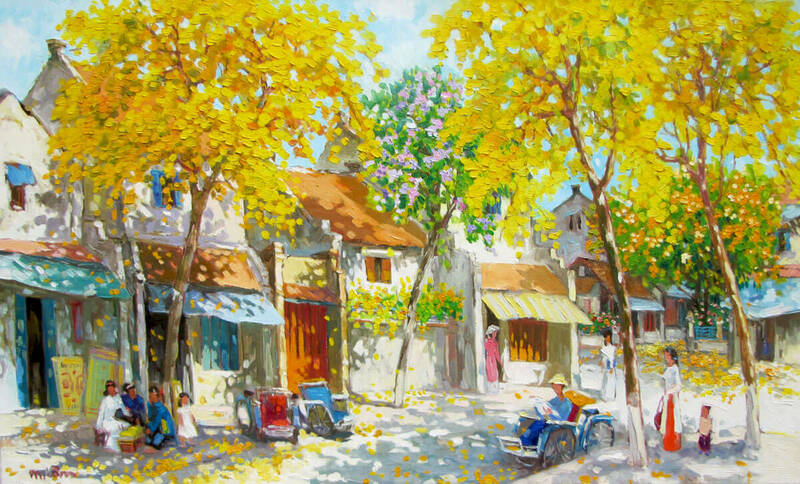 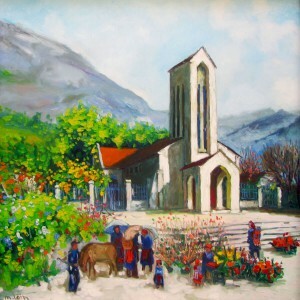 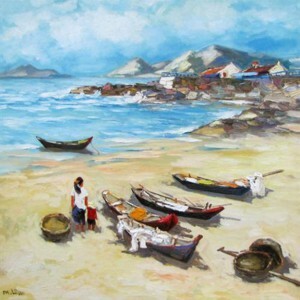 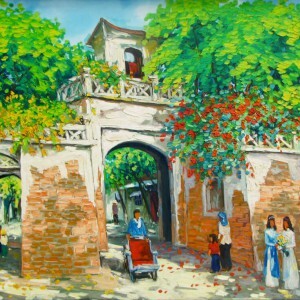 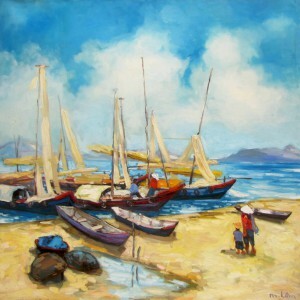 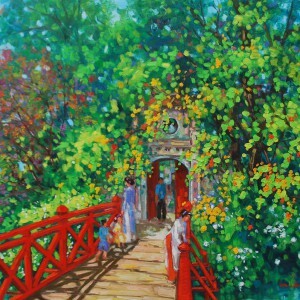 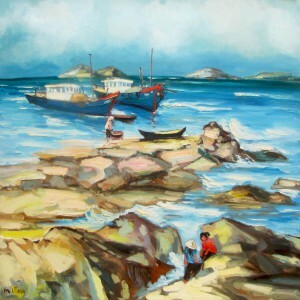 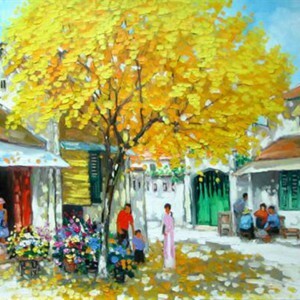 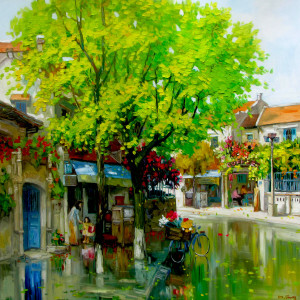 The master landscape painter of Asia Lam Manh visually presents the delicate poetry autumn season has. 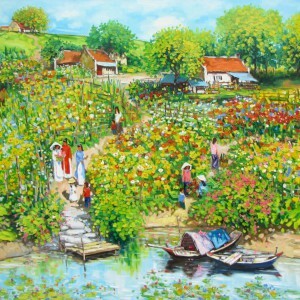 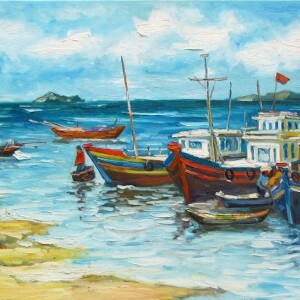 The lavish coloring and vibrant painting surface remind us of its transient beauty and prompts to explore it deeply.